kt literary » Blog Archive » Happy Book Birthday to GAMER SQUAD! Happy Book Birthday to Kim Harrington, whose first two books in the Gamer Squad trilogy release today! Attack of the Not-So-Virtual Monsters ponders what happens when your cool virtual-reality game . . . becomes REAL? Monsters Unleashed–where you catch virtual-reality monsters on your cellphone–is one of the hottest mobile games around, and Bex and Charlie just can’t stop playing. They even check out an old map in Charlie’s grandfather’s attic in hopes of discovering some forgotten places in town where the rarest monsters might hide. But they find a strange machine up there too, and after Charlie switches it on, the WiFi goes down . . . and Bex’s entire catalog of monsters vanishes And that’s not the worst of it: all the creatures she’s collected on her phone escape into the real world. Can the friends nab the beasts before they become monster lunch? 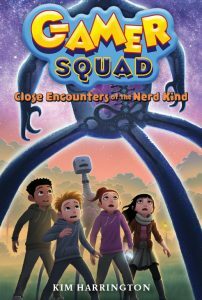 And in the sequel, Close Encounters of the Nerd Kind, Bex and Charlie have to face ALIENS. 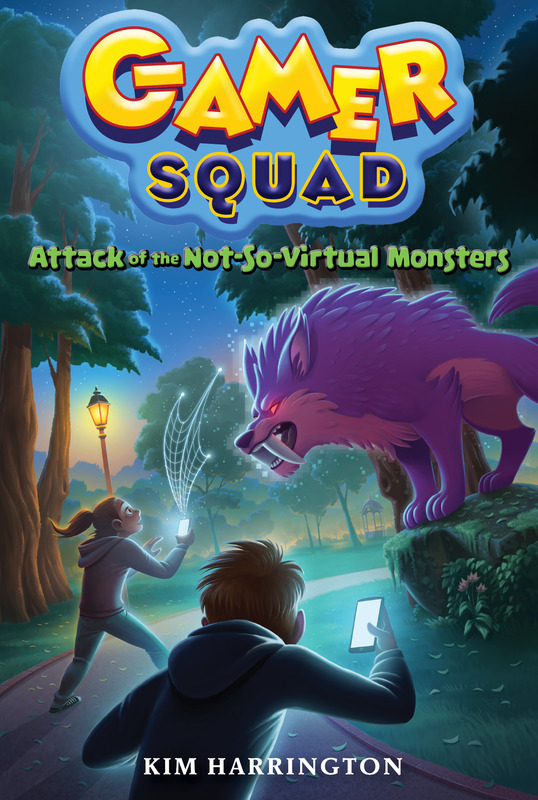 School Library Journal just reviewed Attack of the Not-So-Virtual Monsters, and praised it for fans of Pokemon GO — which was the point, so yay! Join me in congratulating Kim on Twitter at @Kim_Harrington! ← Congratulations to RITA winner Roni Loren!